2008-09. Adobe Flash, Photoshop, ink, watercolor, color pencil, etc. 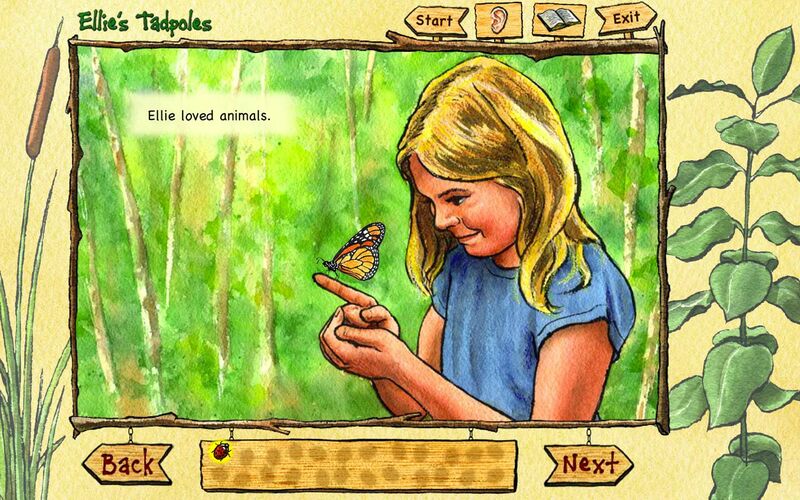 Ellie's Tadpoles was my M.F.A. creative thesis project. It is an educational interactive that is both an animated chidren's book and a lesson on amphibian metamorphosis. I wrote the story, created the art, and built the application in Flash. The whole project took just over a year to complete. The image above is a still of one of the screens. To see the piece in action, click on the link below. Note that you will need a Flash plug-in to see it (so you can't view it on an iPhone nor iPad).